Hello Everyone! Ruby Craft here and welcome to my 3rd week as guest designer on the eclectic Paperie blog. I wanted to share a card today. 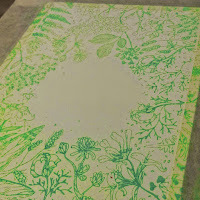 I started with my favorite of Tim Holtz newest stamps from Stampers Anonymous Botanical Sketch CMS216. One thing I love about this stamp is it is a beautiful 5"x6" stamp that is a line drawing of flowers with an open space in the middle allowing room for a sentiment and this stamp set includes several. 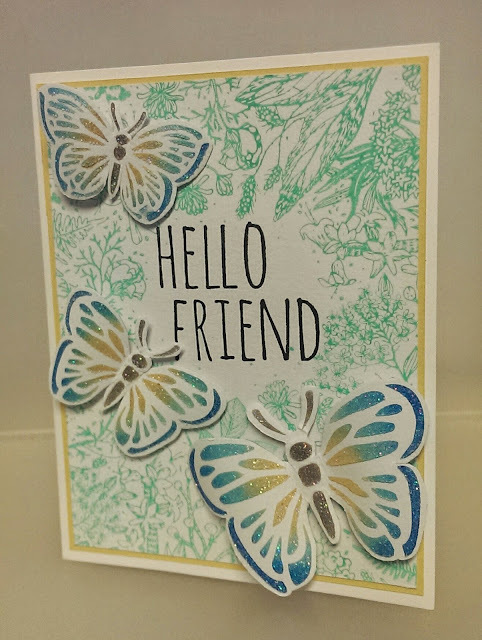 The image is beautiful to water color but I wanted to use Cracked Pistachio Distress Paint to give me a delicate green and white background to compliment but not compete with my butterflies. 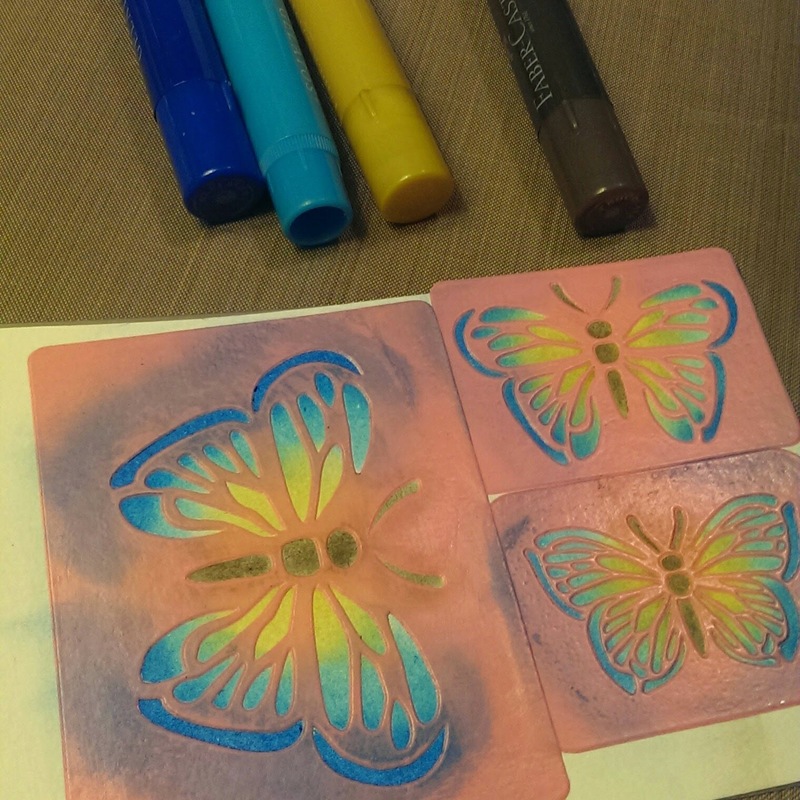 Distress Paint is very fluid and this stamp has very fine lines and intricate details. First I shook up the Distress Paint until I could hear the ball inside rattle to make sure it was well mixed. Then I used the dauber top to add the paint to my non-stick craft mat and a brayer to apply the paint to the stamp. 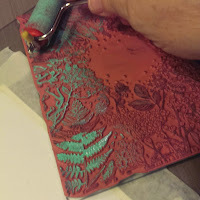 If I used the dauber to apply the paint directly to the stamp, it would quickly fill in the stamp, but by using the brayer, I only applied paint to the raised stamping lines. Working quickly I rolled and lifted the brayer on the craft sheet to spread out the paint and "ink up" the brayer then roll the paint onto the stamp. I had to do this several times to cover the whole stamp. Immediately I stamped the watercolor paper and then cleaned the paint off of all my tools before the paint could dry on them. I put my stamped background aside to dry. 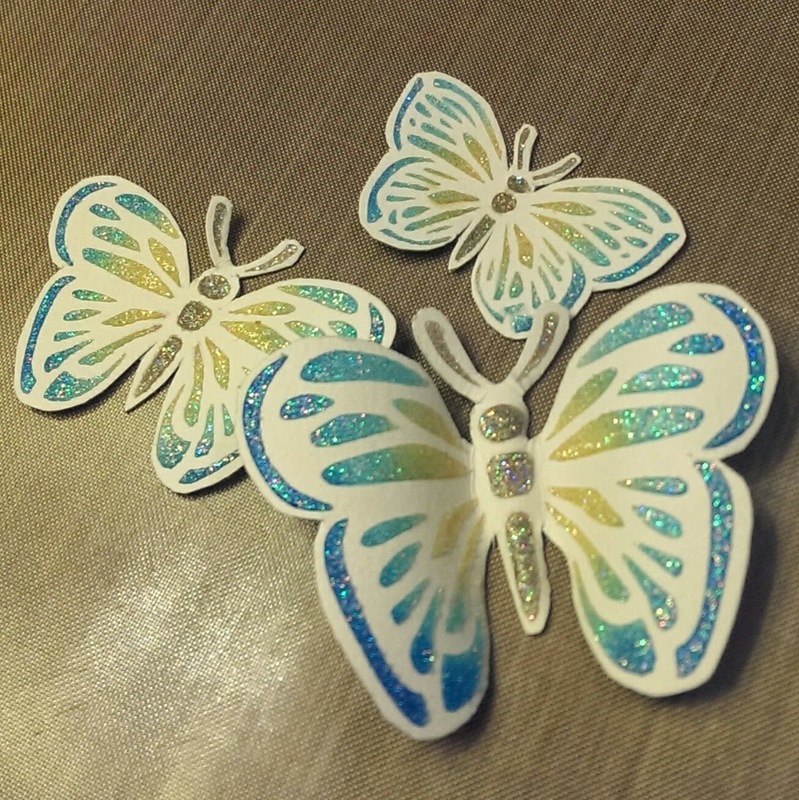 The next step was to create some butterfly embellishments. I wanted to be able to color and shape my butterflies so I used Wendy Vecchi Studio 490 Clearly For Art Clear Modeling Film, mixed media paper and Faber-Castell Gelatos along with the Butterfly stencils from the "Love" set of BoBunny Stickable Stencils and BoBunny Glitter Paste. First, I cut a rectangle from the film large enough for the Butterfly stencils I wanted to use. I used the applicator brush in the Glue N Seal to cover the entire piece of film and laid a piece of mixed media paper on top. To smooth it out I used a straight edge tool to make sure there were no air bubbles and the paper was flat against the film and then set it aside to let dry. Once the paper and Glue N Seal was dry I applied the stickable stencils to the side of the film that was covered with the paper. With a blending foam I applied the gelatos, starting in the center with Chocolate for the body, then added Butterscotch, Cotton Candy and finally Blueberry. 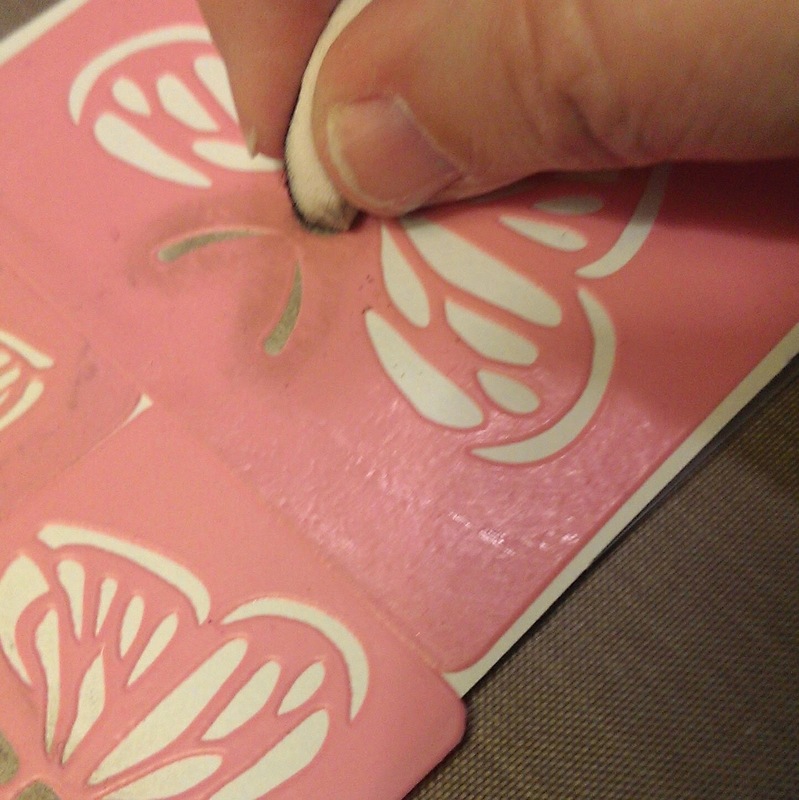 I gave the Gelatos a little time to set then used a spatula to apply BoBunny Glitter Paste to the stencil. Glitter Paste is available in different colors, but I used Sugar which dries clear. My colors showed through and the iridescent glitter shimmers beautifully. As soon as I finished applying the glitter paste I gently removed the stencils and applied them to an acrylic block long enough to clean them. 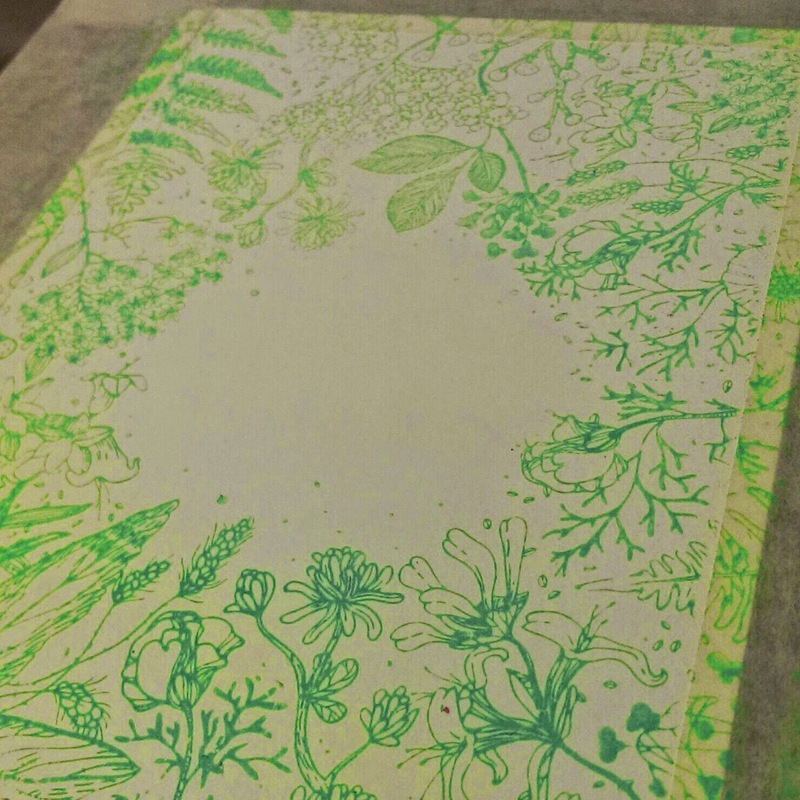 Then gently lifted them and moved them back to their acetate backing sheet and thoroughly cleaned my acrylic block. 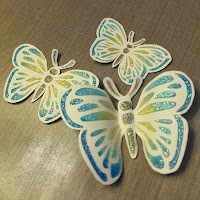 I made sure the glitter paste was completely dry before cutting out my butterflies with scissors. I cut the butterflies out loosely at first and then trimmed them leaving a white border around the stenciled areas. Next I used a heat tool to heat and mold my butterflies working in small areas at a time until I had the look I wanted. Wendy's modeling film is fun to work with. 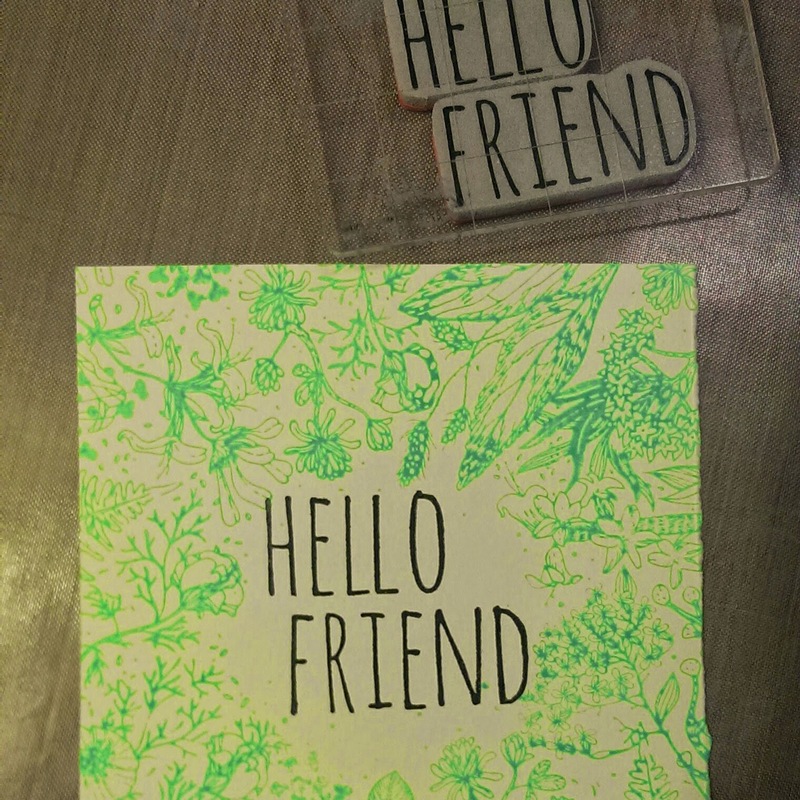 The Botanical Sketch stamp comes with several greetings. 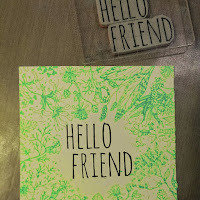 I choose Hello and Friend and lined them up on a grid block, inked them up with Jet Black Archival Ink and stamped my greeting in the open space in the center of my background. Since the Botanical Sketch stamped image is larger than a standard size 4 1/4 x 5 1/2 card, when I then trimmed my background down to size I was able to repositioned the open space up 1/2", giving me an additional 1/2" at the bottom of the card to allow for the larger butterfly. 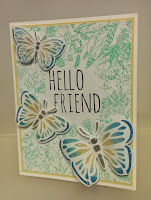 Then I mounted the background on a piece of yellow cardstock to pick up the yellow in the butterflies and then mounted both to a white card base. Finally to complete my card I added the butterflies using foam adhesive. If you click on the small pictures they should pop up bigger. Hope you enjoy the card. If you have any questions or just want to let me know what you think please leave a comment.